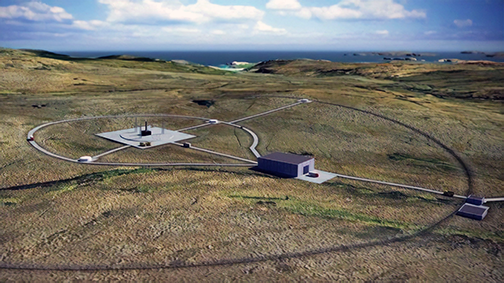 A freshly posted article at Advanced TV is reporting that the UK’s first 'spaceport', planned for a coastal location in the Scottish highlands in north Sutherland, is at risk because of local objectors. The UK government had announced that the agency plans to build Europe's first spaceport on the A'Mhoine Peninsula in Sutherland, Scotland. The boggy stretch is relatively uninhabited, remote and close to the North Sea and is also the best place in the UK to reach satellite orbits with vertically launched rockets. The UK Space Agency was to give Highlands and Islands Enterprise (HIE) £2.5 million to develop a vertical launch pad. An artistic rendition of the A’Mhoine Peninsula is courtesy of the UK Space Agency. However, local reports say that residents are objecting and arguing that safety and environmental requirements are being ignored. Not helping is that the site is in the middle of a rare peat bog and claims that the concreting over of much of the site will mean a loss of habitat for the resident white-tailed eagles, the UK’s largest bird of prey. The land is controlled by the Melness Crofting Estate and arguments over the site has reportedly resulted in three of the seven company directors resigning amid accusations that the local crofters have been ignored and that the community is badly split. There are suggestions that the whole scheme will lose support and the process taken to the Scottish Land Court where any resolution might take years fora final decision.